Is your house decked out in red, pink and hearts? I started making table runners for each season back in the fall and today I put out my Valentine’s Day one. 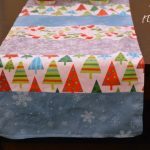 If you want to see the two I have already done, check out my fall and Christmas table runners. In the past I haven’t decorated much for each season but I’m starting to do a little bit more each holiday. I enjoy decorating my kitchen table each season because it is a simple change that can make the entire house festive. 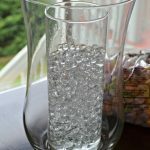 I used my red and white glassybabys to add even more Valentine’s Day charm to the decor. One of my favorite parts of making these table runners is picking out the fabric. 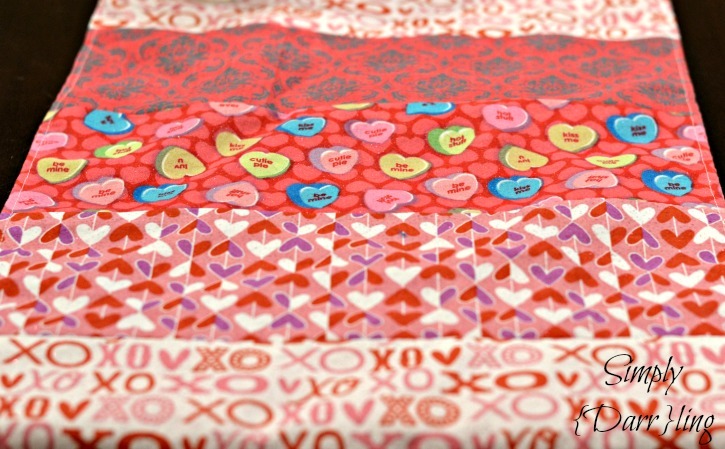 I picked up my fabric from JoAnn’s but there are also a ton of options over on Fabric.com. 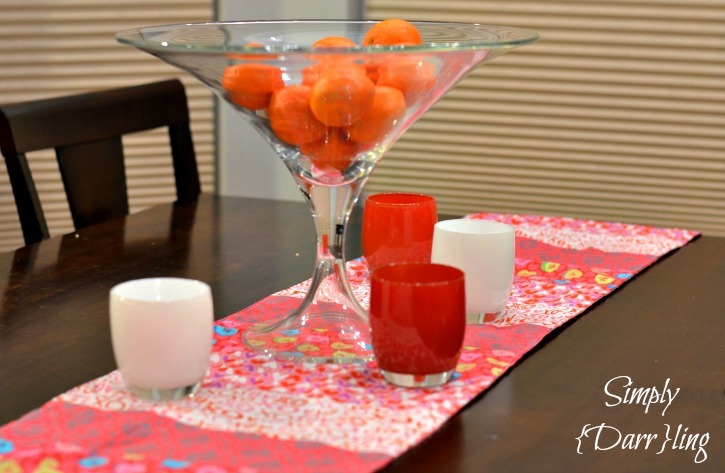 For the full tutorial to make this yourself, visit my post on the fall table runner. How do you decorate for Valentine’s Day? 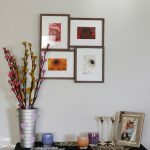 Let me know in the comments what you have out in your house. 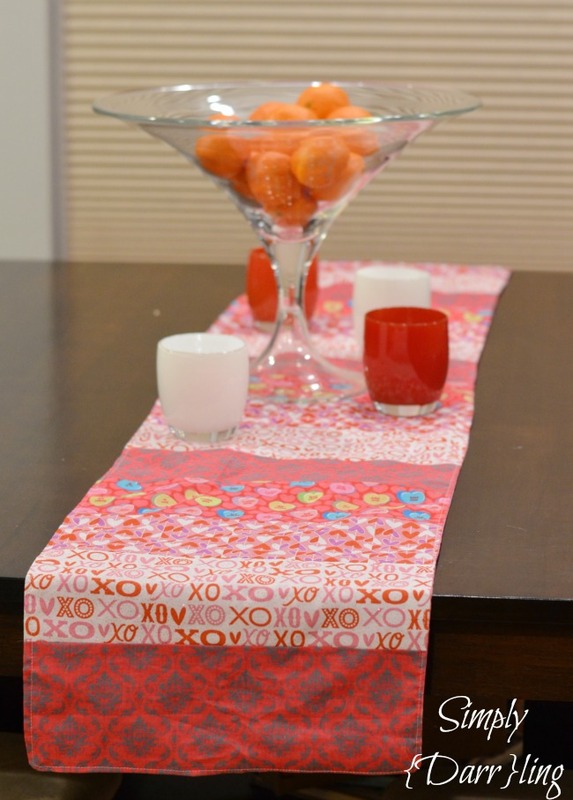 If you like this Valentine’s Day Table Runner make sure you are following along on Pinterest for more sewing and holiday projects! 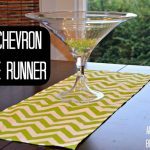 That runner is gorgeous, it really makes me wish that I could sew so that I could make cool stuff like this. Wow, very pretty runner. I have a sewing machine but have never learned how to use it. This would be an easy project to start with. Everything is straight lines. Super cute! I always forget about using runners for holiday decorations. I definitely have enough fabric to throw one together! Let me know how yours turns out! It is such a fun project.